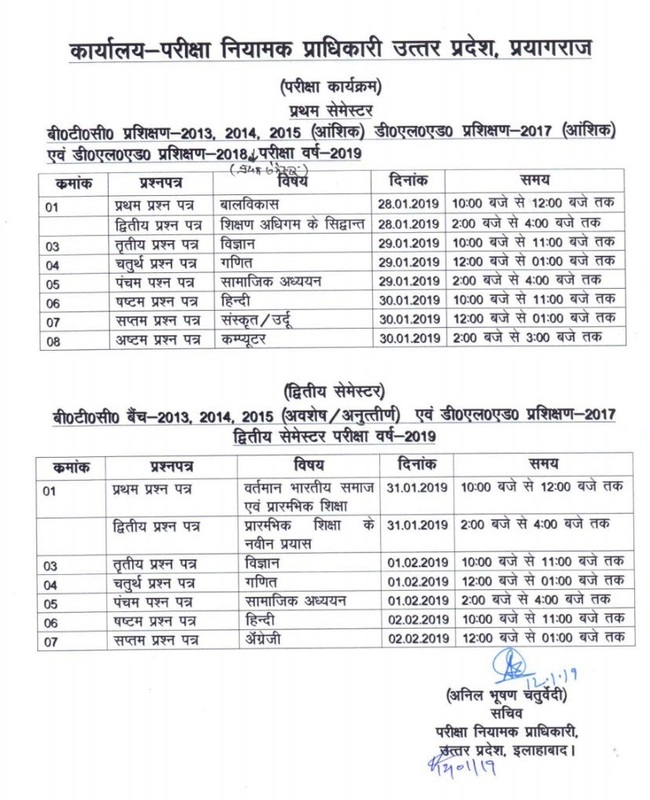 UP D.El.Ed 2017 2nd Semester Exam & UP BTC 2018 1st Semester Date Sheet has been released Now. Exams will conduct in January/ February, 2019. Download Date Sheet from links given below…. Exam Regulatory Authority, Uttar Pradesh conduct semester wise examination for BTC Students. Exam was conducted Semester wise. So Candidates appeared in 1st, 2nd, 3rd, 4th Semester Exams. 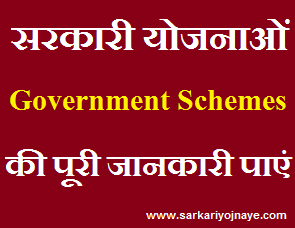 You will get btc semester Exam scheme details, btc exam date sheet details from this article. From Year 2017 BTC has been named as D.EL.Ed. So From Now onwards Exam Regulatory Authority will conduct UP D.El.Ed Exams for 2015, 2016-2017 & 2018 Session. 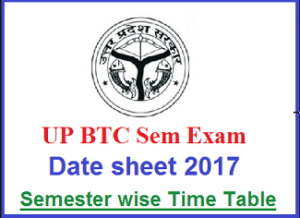 UP BTC Semester Exam Dates 2018-2019 : Earlier UP BTC 2015 Final Semester Exams got delayed. As Per earlier schedule, BTC 2015 Training Session has to be completed till 22 September, 2018. But still Final Semester Exam dates are not finalized. 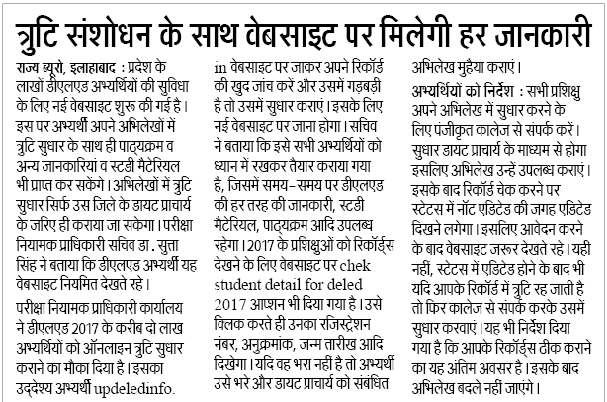 Secretary of UP Exam Regulatory Authority has given assurance to conduct BTC 2015 4th Semester Exams before UPTET 2018 Exam. Candidates are worried that If their Training Session not completed within Time then they will not be able to take part in 69000 Assistant Teacher Recruitment in December, 2018. UP Exam Regulatory Authority will conduct UP BTC D.ElEd. 2017 3rd Semester & deled 2018 2nd Semester Exam in May/ June, 2019. At First Visit Official Website of Exam Regulatory Authority in Uttar Pradesh (http://www.examregulatoryauthorityup.in). On the Home Page Search for Notice Section & Click on that Section. After Clicking on Notice Section, you will be redirected to Notice Page. Download UP BTC Date Sheet 2018 in .pdf Format from that Link. Take a Print out for Future Reference. 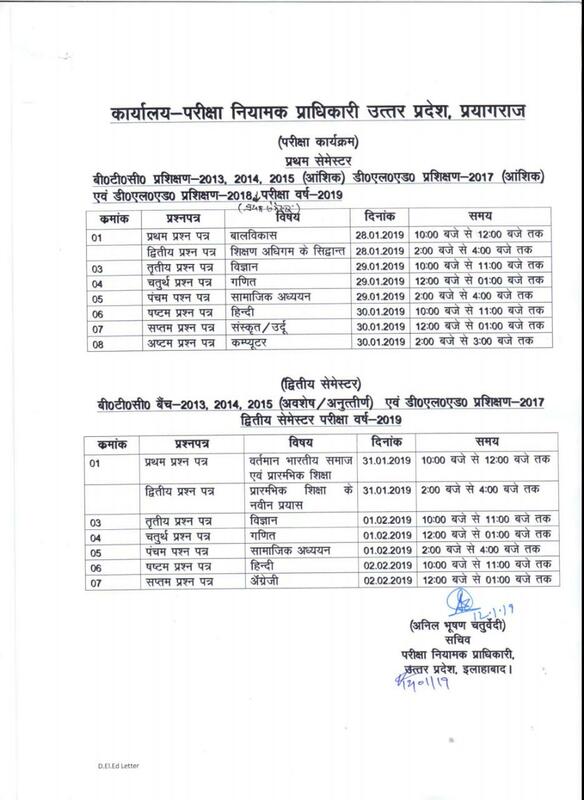 BTC D.El.Ed Aspirants get all Latest Updates related to UP BTC Exam Scheme 2018, UP BTC Date Sheet 2018, UP BTC Time Table 2018 Semester wise. Bookmark this Page (Use CTRL+D) for Latest Updates. Mam kya deled 2018 batch ke exam semester complete hone se phle hi May me ho sakte h?? How long can the vacancies of primary school teachers come ? No confirm date. Pehle purani vacancies ka recruitment process complete hoga, tabhi new vacancies aayengi.